Photo courtesy of Channel Myrt at Flickr.com. Keeping warm is hard work. When the days get shorter and cold weather creeps up on us, there are many different ways to keep winter at bay. The most common sources of heat are natural gas, heating oil, coal, electric furnaces, and wood fueled fireplaces. As the costs of these heat sources skyrocket, many people are looking for alternatives. Natural gas is one of the most widely used energy sources inside homes – about half of all American houses use natural gas to stay warm, and that number is increasing as natural gas systems dominate in newly built homes. Natural gas is available in many parts of the country, it burns relatively clean, and natural gas systems don’t require much maintenance. The price of natural gas has stayed low for several years, although lately the market price has been volatile. In the last six months, natural gas has traded between $6 and $14 per million British Thermal Units (BTUs). A typical home will use about 111 million BTUs during the winter, so heating a home for the winter would cost between $700 and $1,500, plus monthly service charges. Heating oil is very popular in the Northeast. For instance, 80 percent of the homes in Maine rely on heating oil to keep warm, and the average home uses more than 800 gallons per winter. Heating oil is not a very clean burning fuel, and it releases plenty of CO2 and particulates. With the price of heating oil going up sharply in the last several months, price is a major concern. As I write this, heating oil is selling in the range of $3.40 – $3.70 per gallon. That adds up to a heating oil bill of about $2,500 to $3,000 for the winter, plus delivery costs. Delivery costs can be substantial, and typical customers will need 2-4 deliveries. Coal furnaces are also widespread. Coal is cheap and it’s a domestic energy source, but there are some serious downsides. Coal furnaces cost more than other heating equipment (three times the cost of natural gas heaters), they require constant supervision, they’re messy, and they create obscene amounts of pollution. As the Union of Concerned Scientists points out, â€œFrom mining to processing to transportation to burning to disposal, coal has more environmental impacts than any other energy source.â€ The price of coal is also up sharply this year, with the price of the cleanest burning types of coal rising the most. The average cost for a ton of heating coal has tripled – a ton of coal with 25 million BTUs of energy costs between $140 and $180 as I write this and is expected to go up further. Heating an average house at these prices will cost $600-$900 this winter, plus delivery. Electric furnaces are commonly found in areas with mild winters, and they are built onto many air conditioning systems as a backup. These central heaters are very expensive to operate – they generally have very poor efficiency, and the price of electricity has been rising along with the price of natural gas and coal (these are the primary fuels that electric power stations use). A typical electric heater can convert 1 kilowatt of electricity into about 3,300 BTU. Assuming electric costs of 12-20 cents per kilowatt, heating a home with electricity over the winter would cost $4,000 to $6,600, plus service fees. 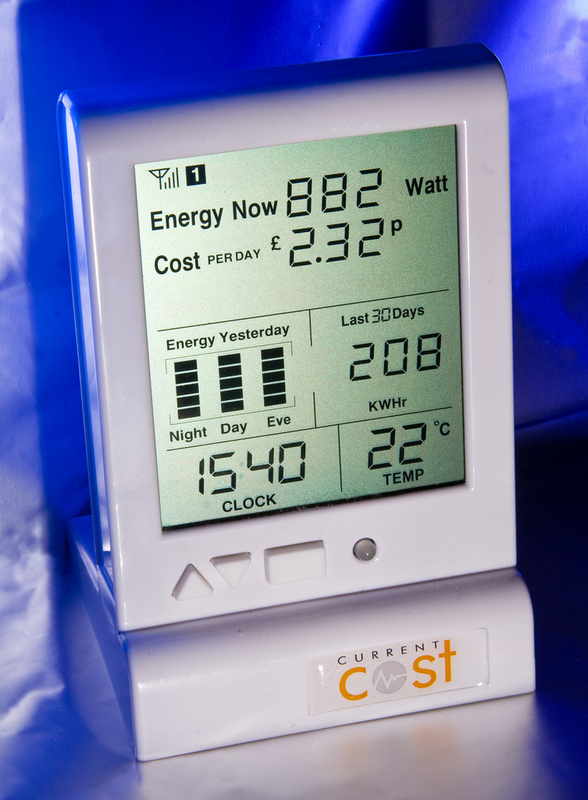 (To estimate the cost based on your utility rate, multiply your cost per kWh by 33,000). Firewood is still used to hold off Old Man Winter (especially in parts of the country where trees outnumber people). The carbon produced by burning wood is the same amount that’s stored within trees as they grow, so sustainably harvested firewood is carbon neutral. It’s often possible to find “free” firewood – many industries have to pay to dispose of their wood scraps and will appreciate your help transporting their waste away. Try checking in with landscapers, tree surgeons, carpenters, and local recycling centers – but make sure to choose wood without varnish or paint. Treated wood can release toxic fumes when it’s burned. Dried (aka ‘cured’) cords of firewood have the highest energy content per pound. Green wood has less than 6 million BTU per ton, while cured firewood has approximately 13.5 million BTU per ton. Cords of firewood cost from $150-$250, so heating a home with cured firewood can cost $750 to $1,300, plus substantial transportation costs. For the most part, these heat sources come from non-renewable sources. Using lumber from deforested areas and fossil fuels from the ground contributes to climate change while also damaging air quality. The US supply of oil and natural gas is inadequate for current demand – huge amounts of these fuels are imported every year. Heating oil depends primarily on foreign sources – more than 60% of all heating oil comes from imports. About 85% of all natural gas is produced in the US, and most of the remainder is imported from Canada. 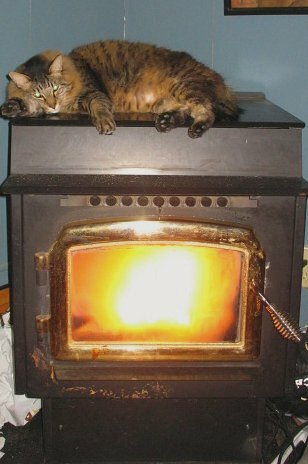 1) Consider a pellet stove. If pellets are available in your area, you may want to consider this unconventional stove to cut down on your bills and reduce your carbon footprint. Pellet stoves burn waste material that’s been processed into convenient pellets – the compressed sawdust and wood chips look a bit like animal feed. Pellet stoves are designed for particular fuels, and there are even some pellet stoves that burn pellets made from corn husks, cherry pits, and other agricultural waste. By matching a pellet stove with a cheap fuel source in your area, you can cut costs and intercept trash before it makes it to the landfill. Ash from a pellet stove also makes an excellent fertilizer. A pellet stove burning premium (low ash) wood pellets currently costs about $1,000 to $1,600 plus transport fees to heat a home through winter. A pellet stove burning Biomass pellets can cost even less. Compressed corn straw pellets (where available) cost about a third as much as premium sawdust pellets. A pellet stove running on biomass can cost $300 to $1,000 to fuel. Many pellet stoves come with self-feeding hoppers that can go a day or so without supervision, but storage of the pellets takes a lot of space and can add to the cost. Pellet stoves are in short supply though, so you may want to check non-conventional sources to pick up a used one. Photo courtesy of lisatomt at Flickr.com. 2) Apply dark paint to your roof and outside walls. Dark colors do a great job of soaking up the sun’s energy, and paint is a low cost way to heat up your home. Many town recycling centers have partially used buckets of paint available for free. Blending these paints will usually produce a heat absorbing brown paint. Photo courtesy of lolla_sig at Flickr.com. 3) If you use electric heaters, ask your utility company about a time of day meter. Electric heaters run most often during the night, when demand for electricity is low. 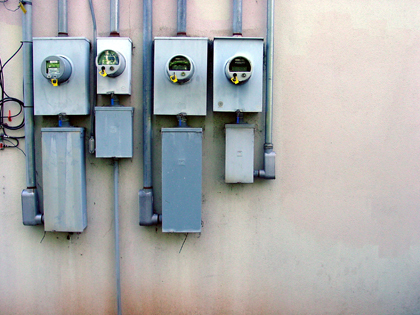 Some utility companies offer discounted rates during these off-peak hours and you can cut your bill simply by installing the right kind of meter. Photo courtesy of Fragments of Eternity at Flickr.com. 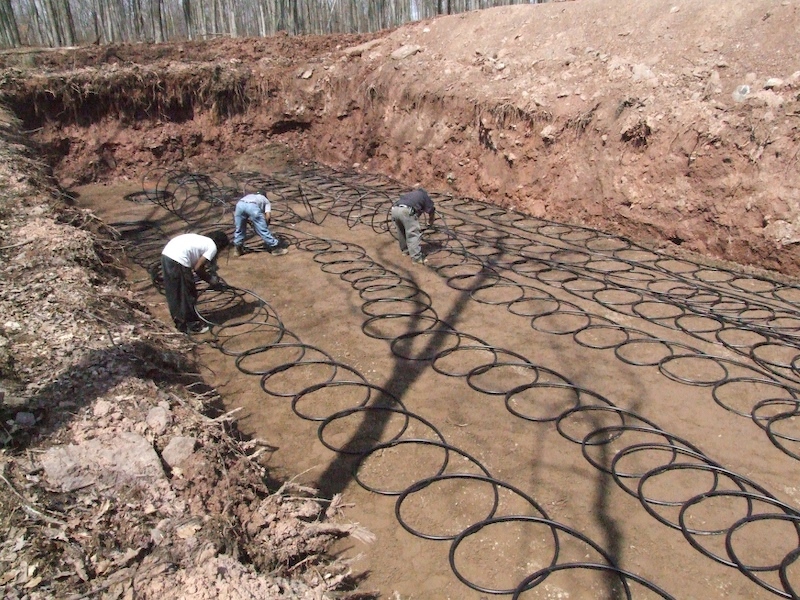 4) Install a geothermal loop. The temperature 50 feet underground stays fairly constant year round. 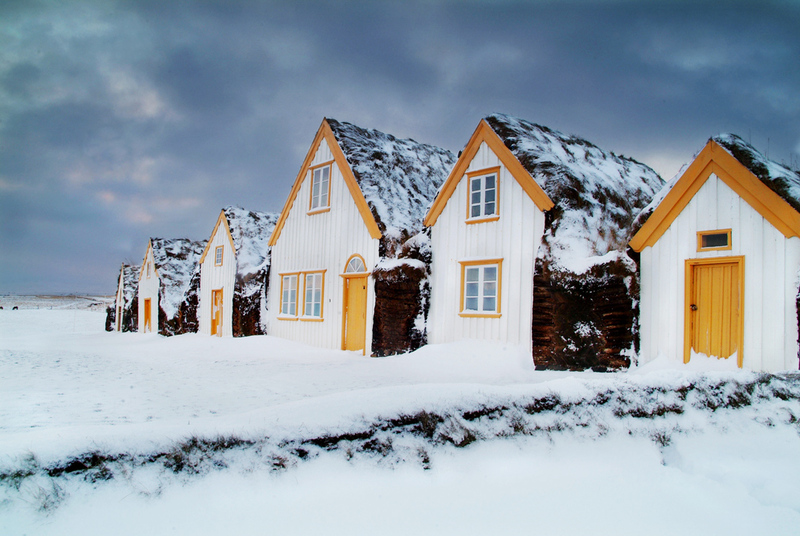 Even when it’s snowing, you can tap the warmth of the ground to heat your house. Geothermal loops work by running water through underground pipes and up to heat exchange units. Not only can they cut heating bills by 30-70%, but they can also be used to cool your house in the summer. Photo courtesy of tomm12723 at Flickr.com. Honestly, this should be the first item on the list. Insulation is cheap, easy to apply, and it cuts costs by reducing the need for heat. For the best results, use a thermal imager to identify “hot spots” – the places of your home that are leaking the worst and focus on insulating them. Photo courtesy of abrunglinghaus at Flickr.com. You are forgetting heat pumps, not the same as an electric furnace. I have a heat pump in my home (14 SEER but they go up to 19) and I spend less than $100 per month year round. I do spend about $210 for a backup propane furnace that runs when the outside temp is below 25F. So even if I heat for 5 months at $60 per month to heat plus $210 for propane, I can be spending no more than $510 total to heat my home. I’m going to cut that down some with wood this next year which I will cut myself at a cost of a chainsaw chain and a few gallons of fuel. Less than $100, plus I’ll be able to heat when the power goes out. I’d like to find out more about easily available alternatives other than coal, oil, wood and natural gas. (While natural gas burns clean, the process of extracting it is very contaminating to the air and water. People are actually getting sick in areas where natural gas is extracted.) My house is heated with natural gas and I’d like to switch to a different fuel. 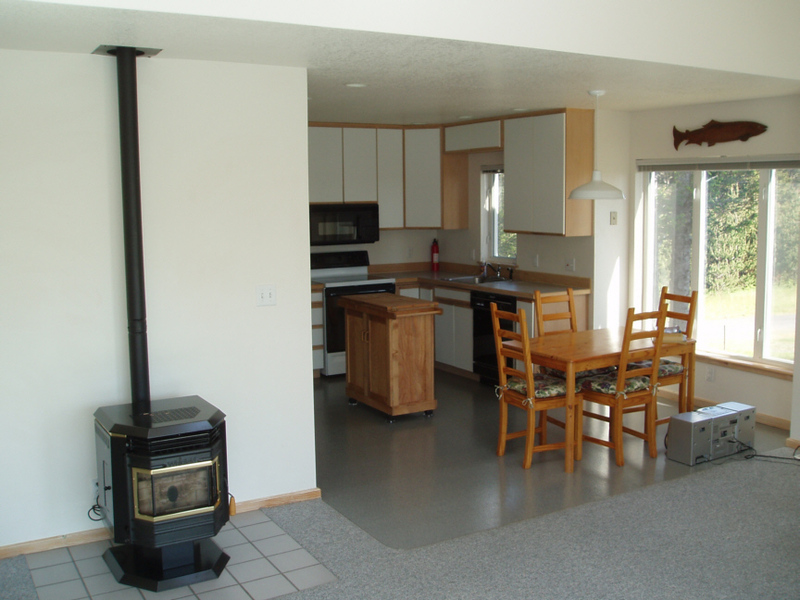 Has anyone out there used other types of sources – like the pellet stove or geothermal heating? What was your experience with these or others? Any advice? 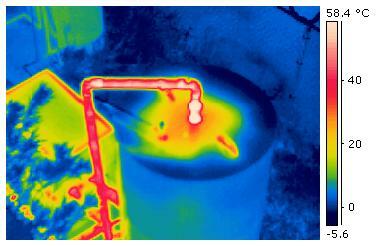 I have to add water to my loop line for geo thermal once in a great while. Is it o.k. to just add plain water or is there a mix to keep liquid from freezing?